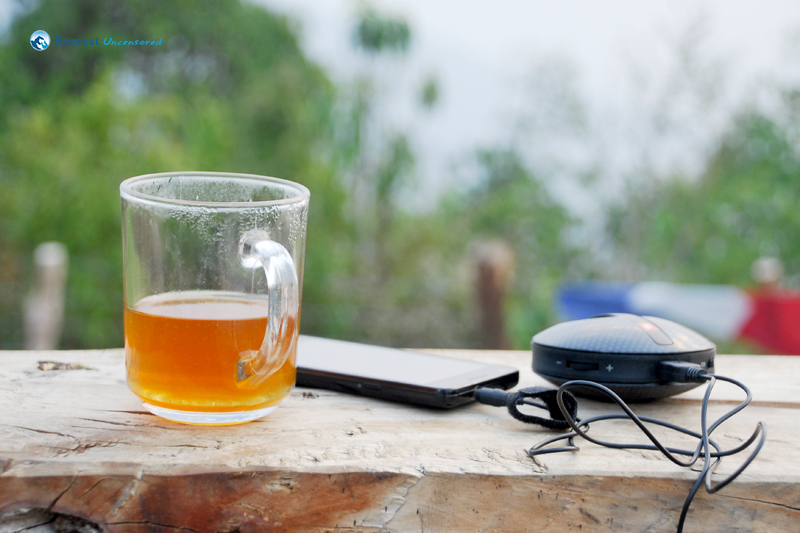 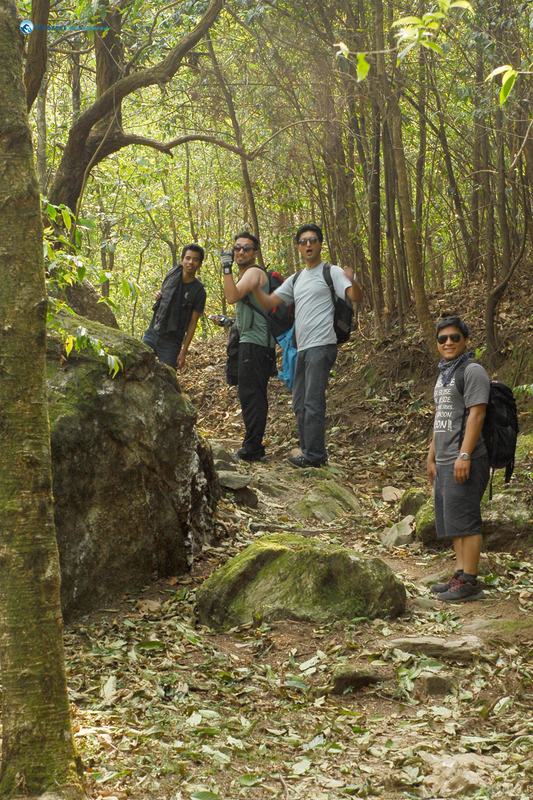 Hike means to walk for a long distance, but to make it memorable you also need good location and cool friends around you. On that note this was my first 3 days hike with a few of my coolest friends from Deerwalk. 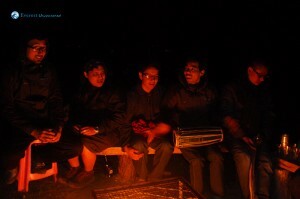 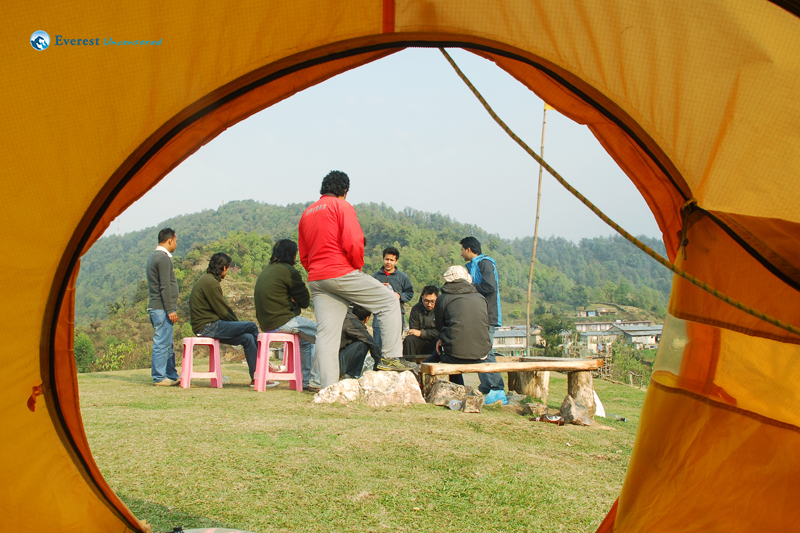 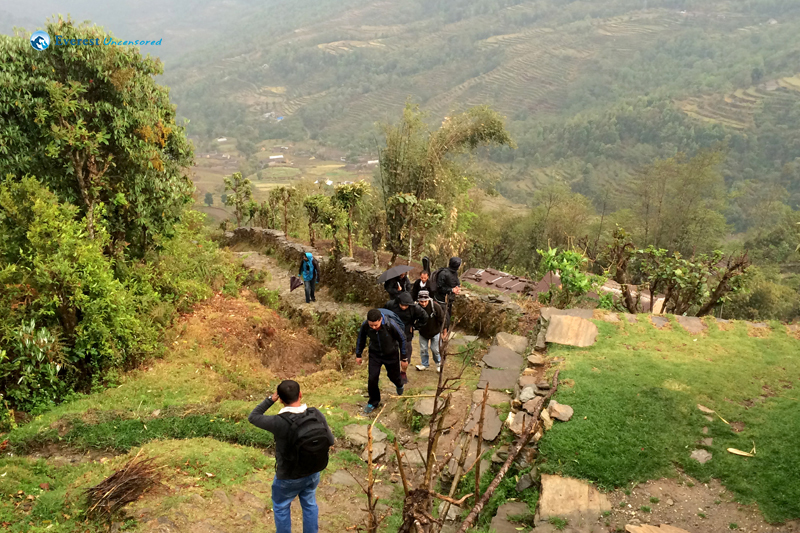 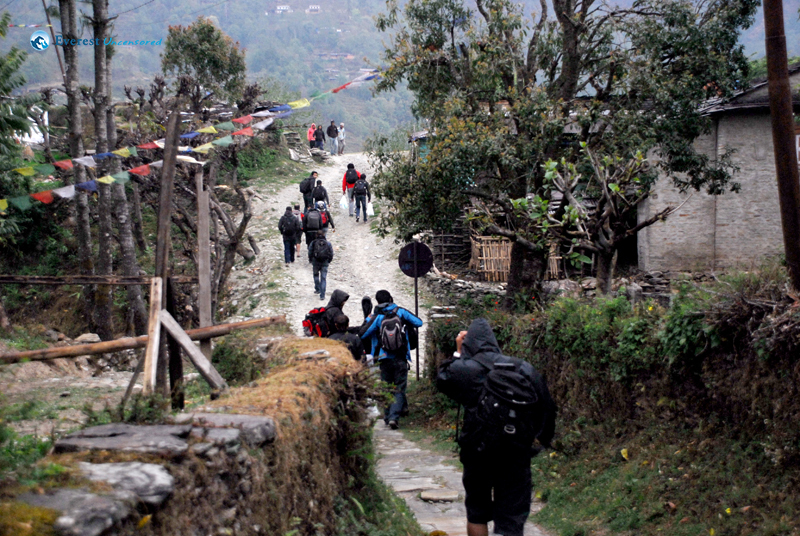 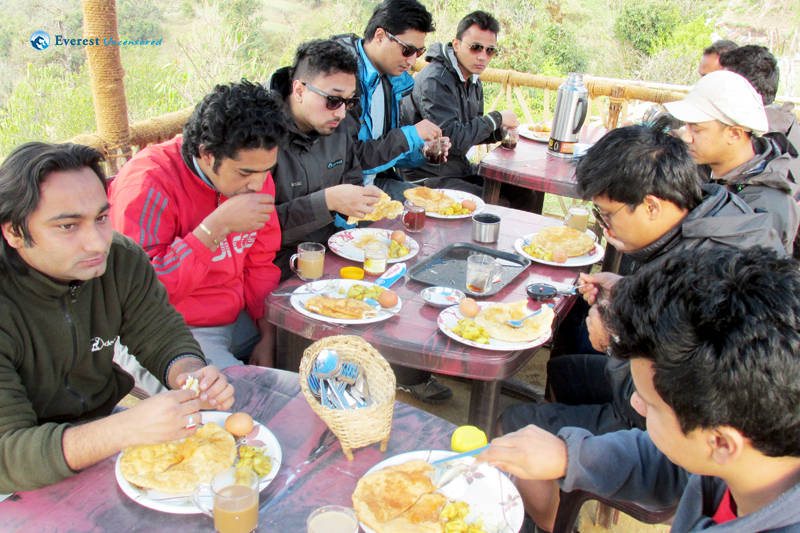 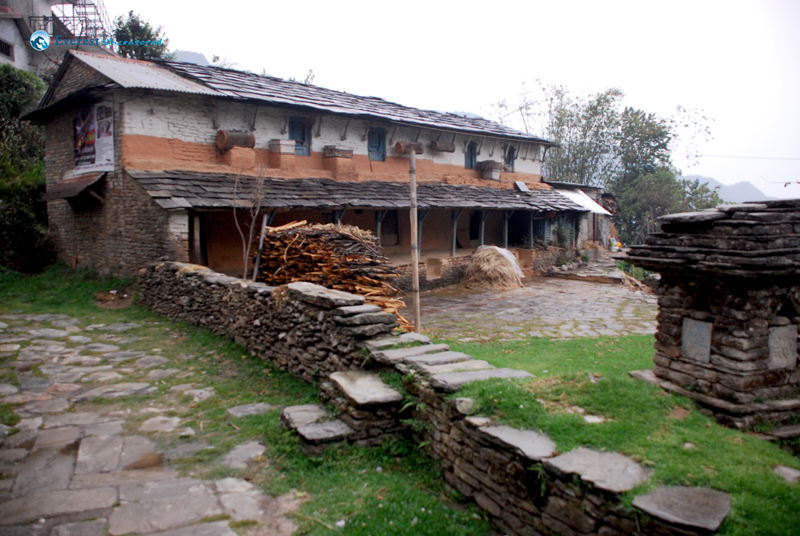 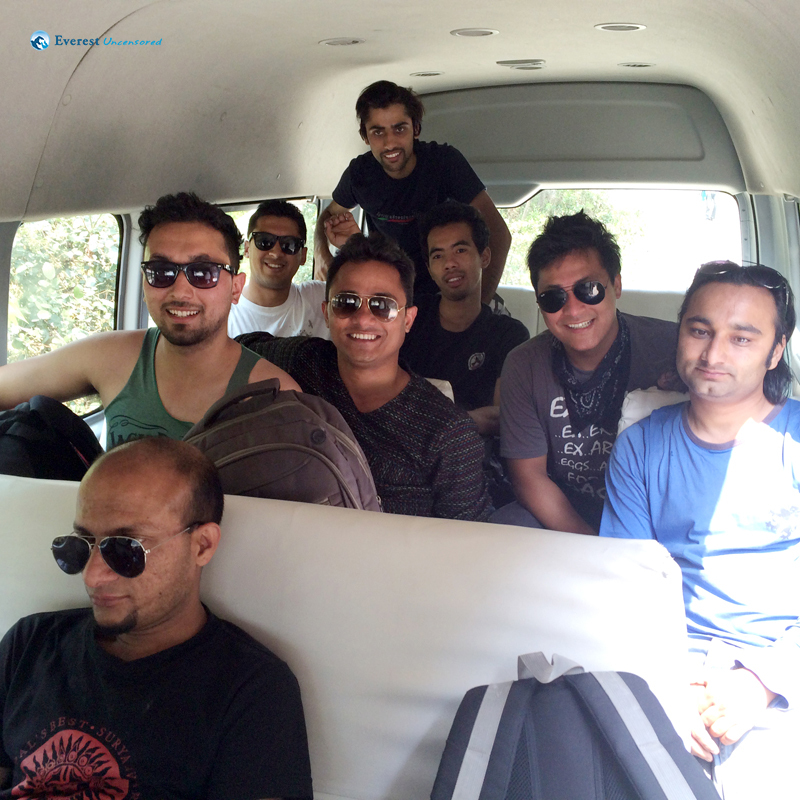 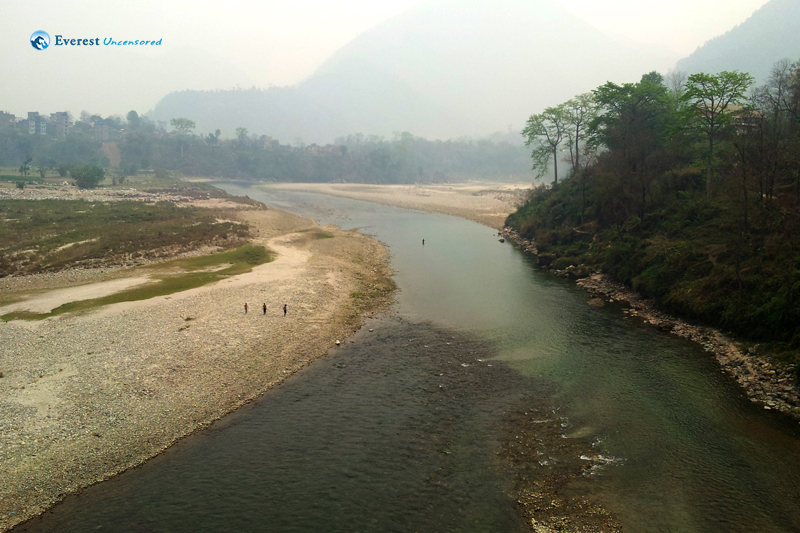 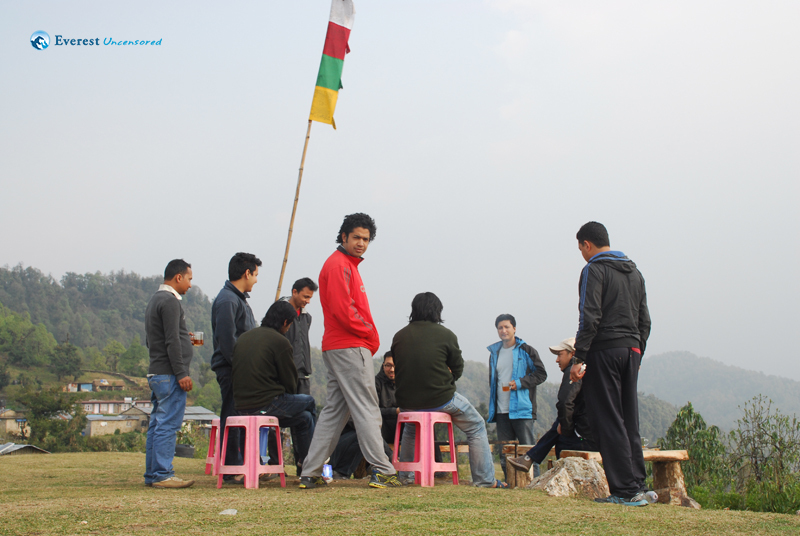 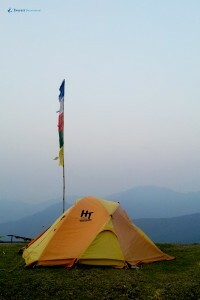 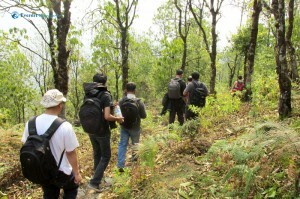 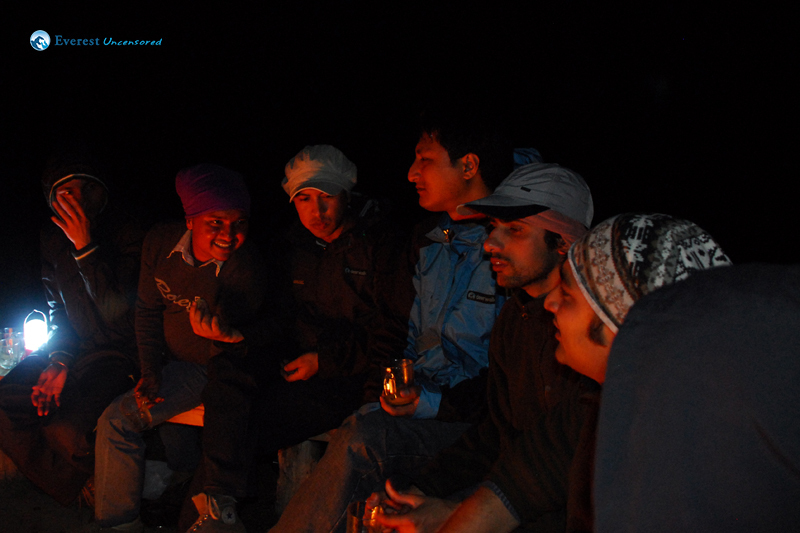 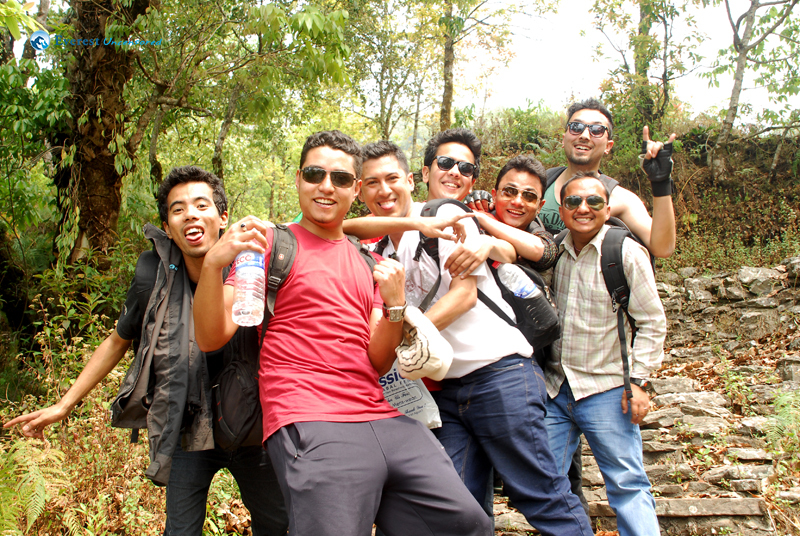 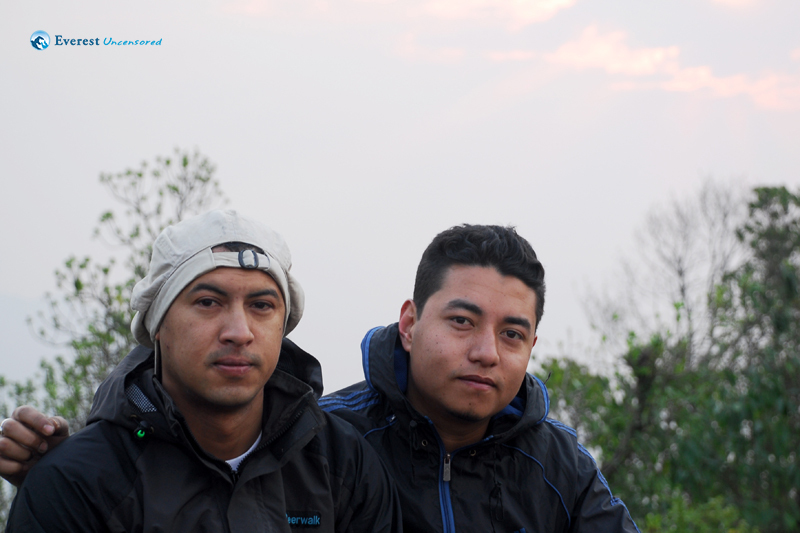 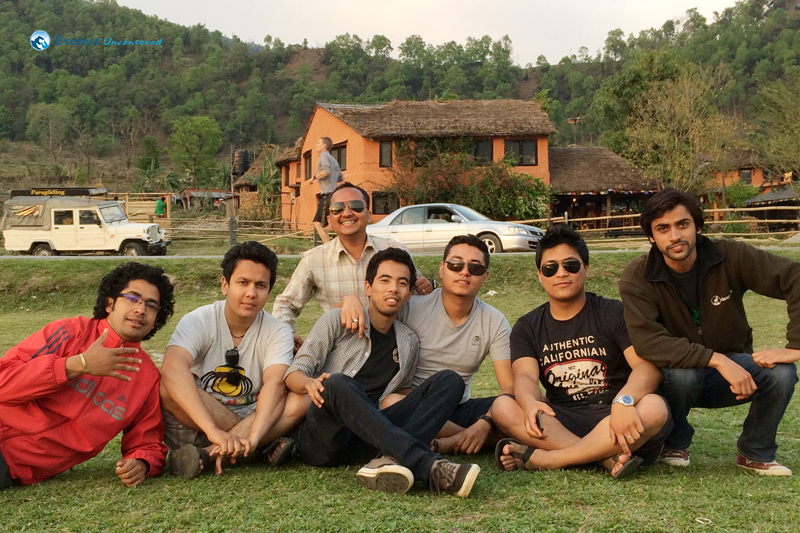 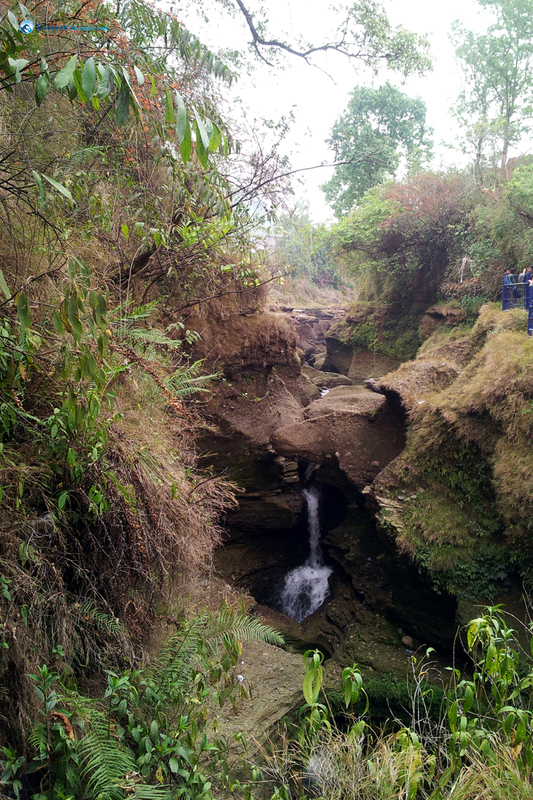 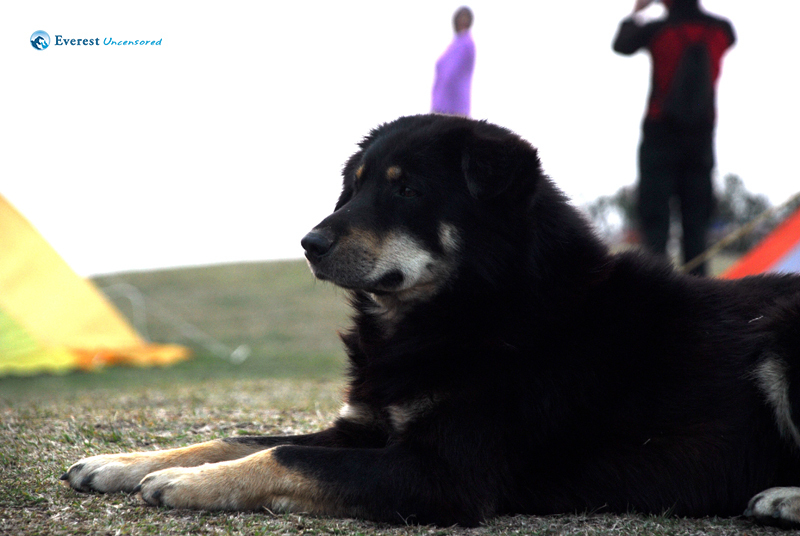 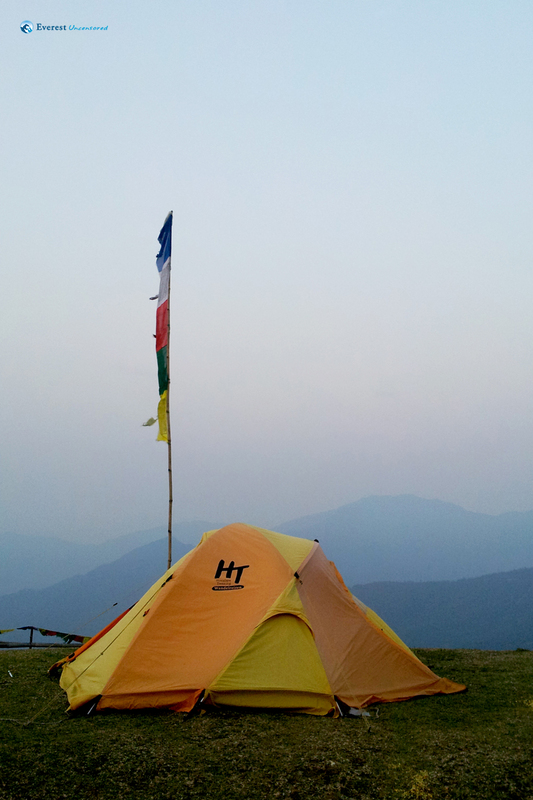 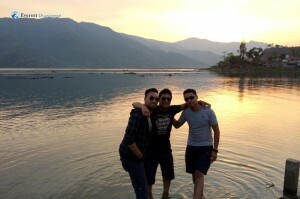 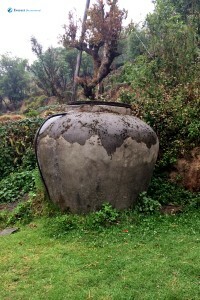 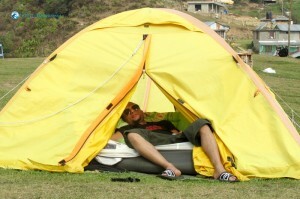 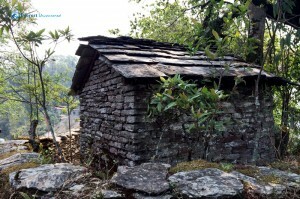 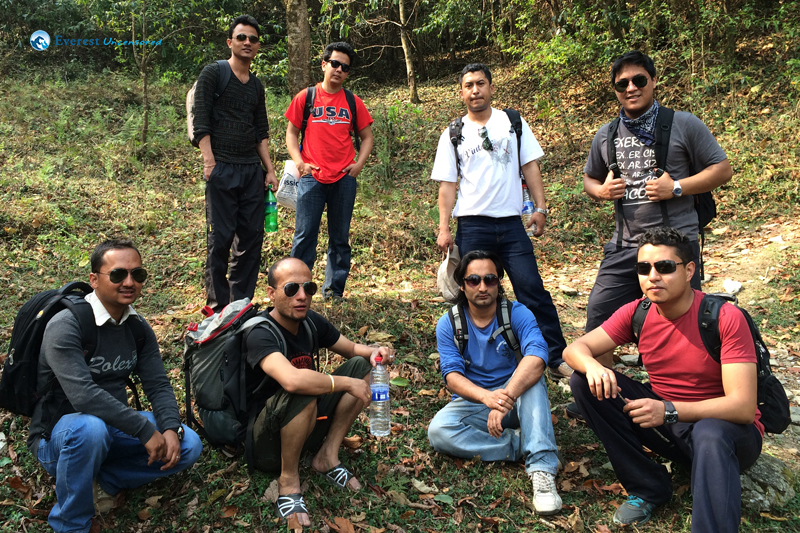 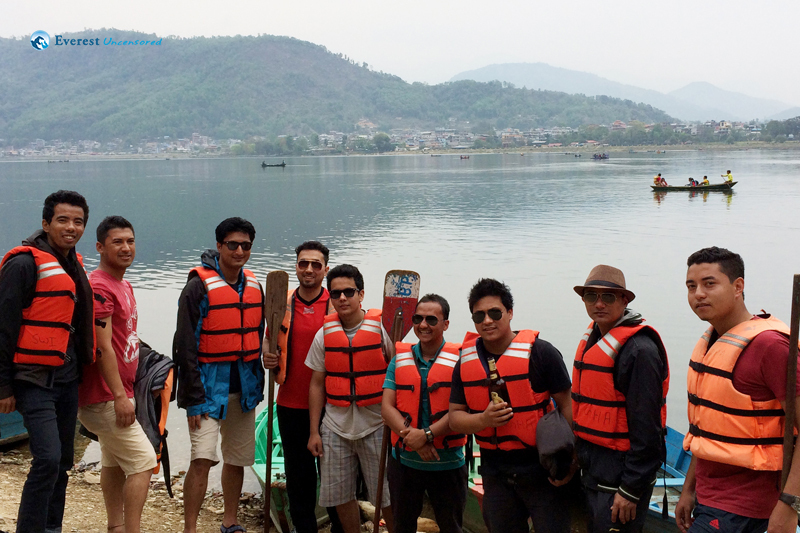 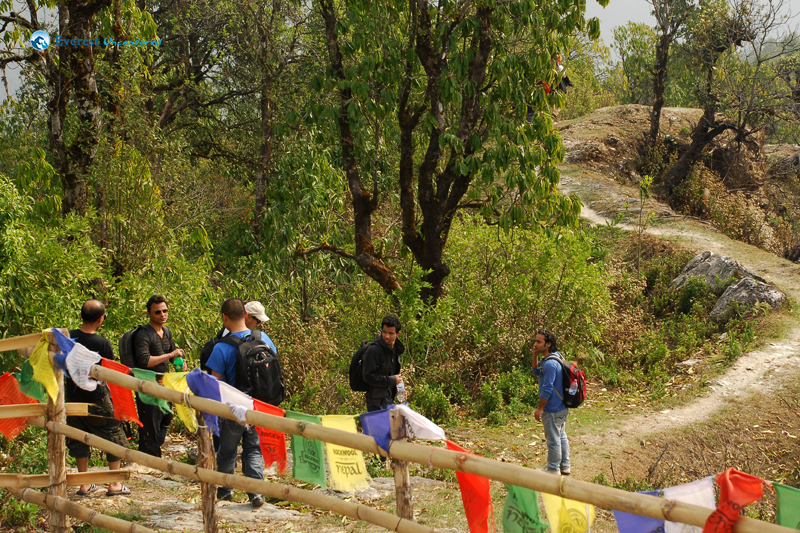 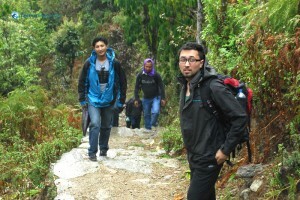 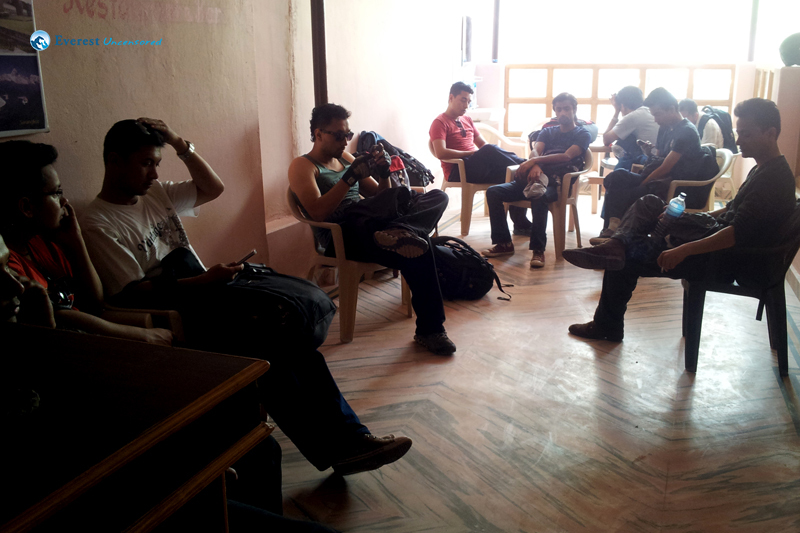 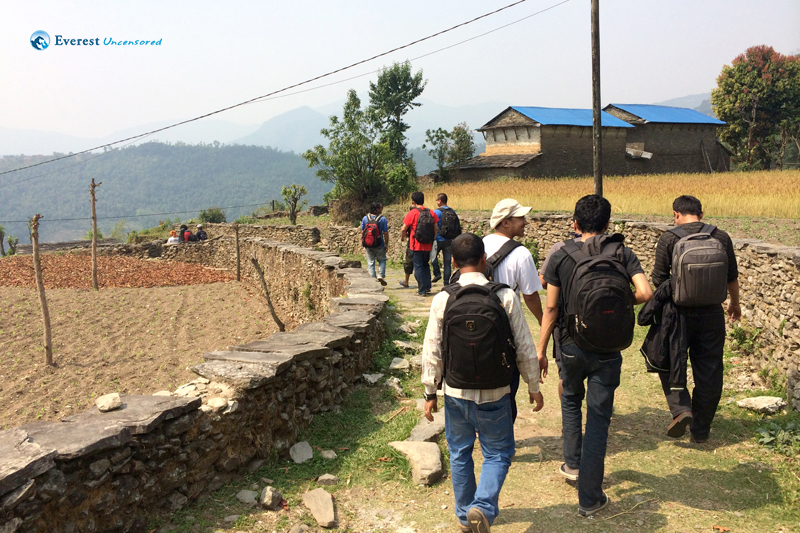 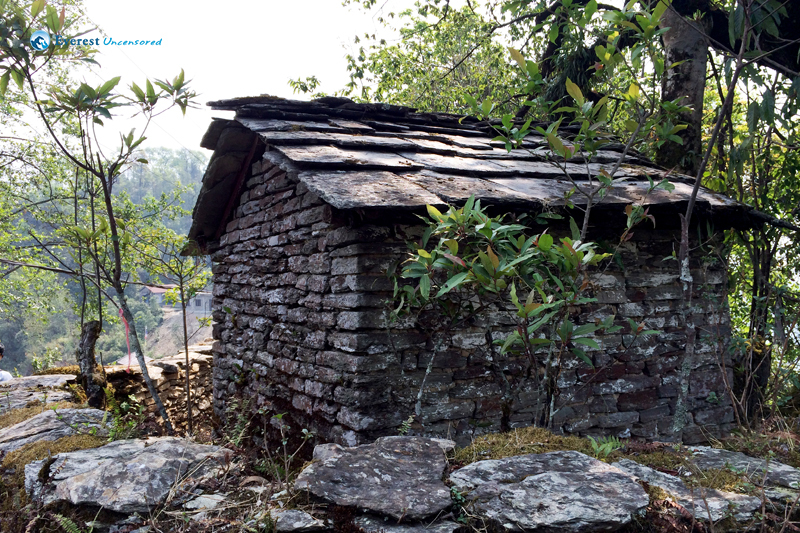 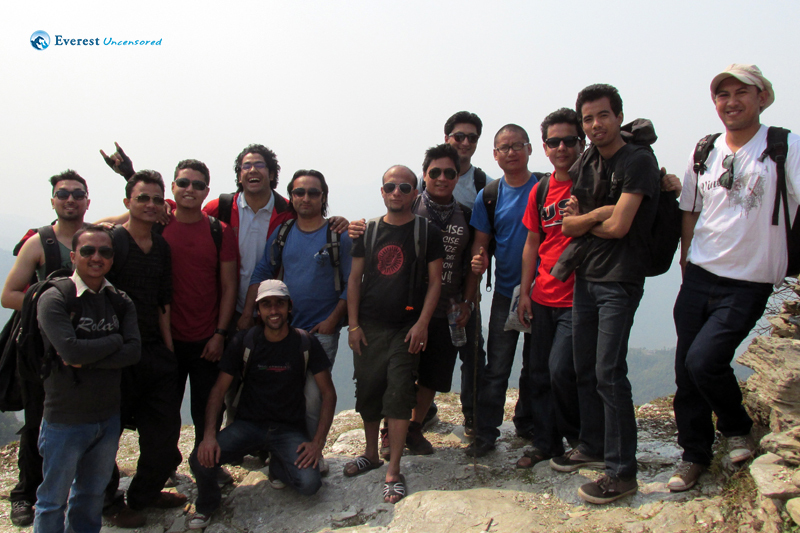 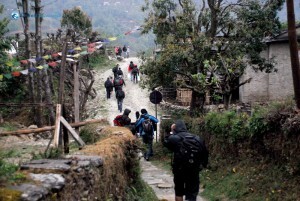 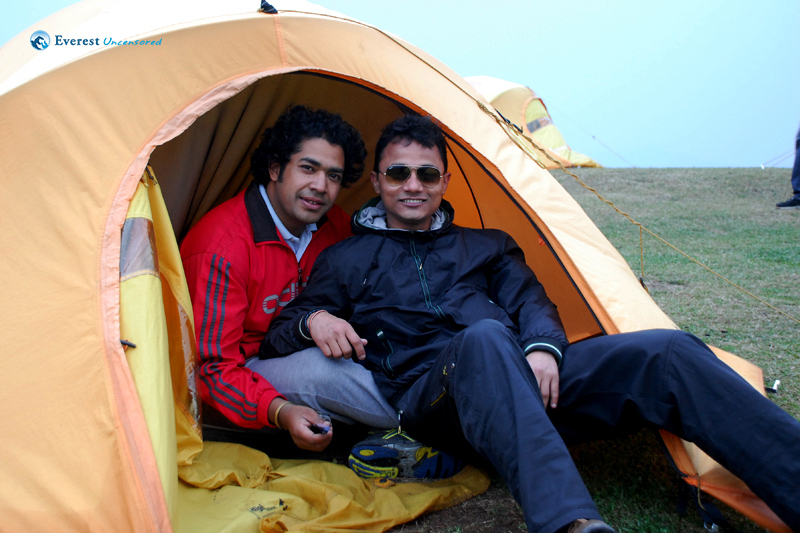 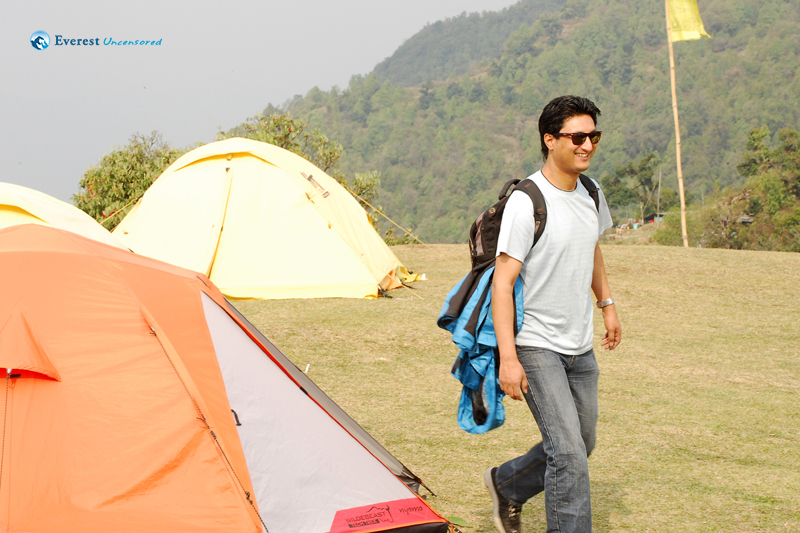 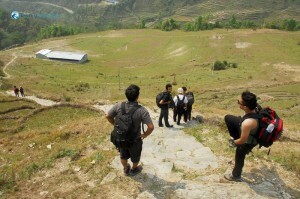 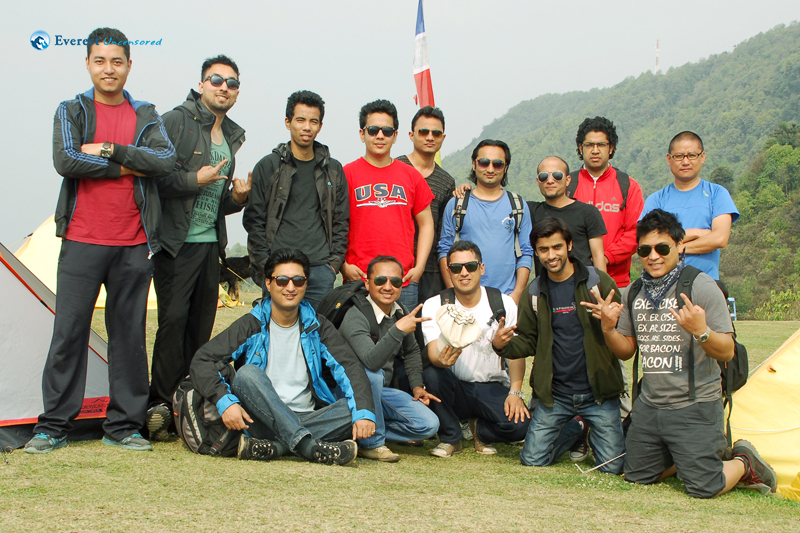 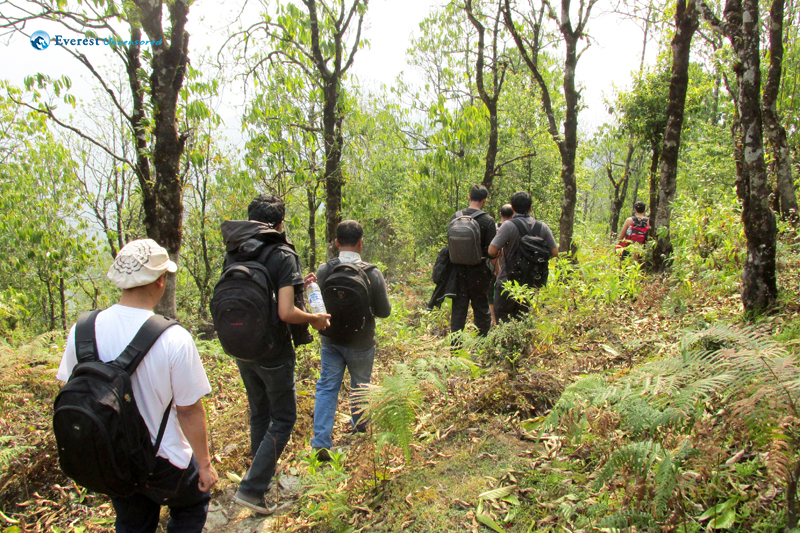 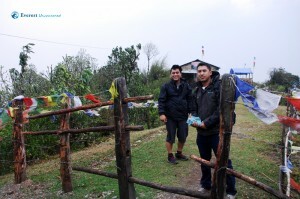 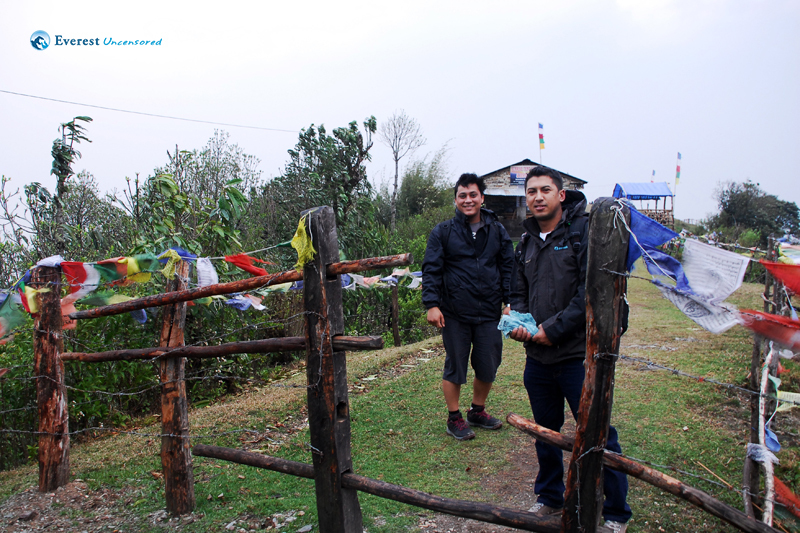 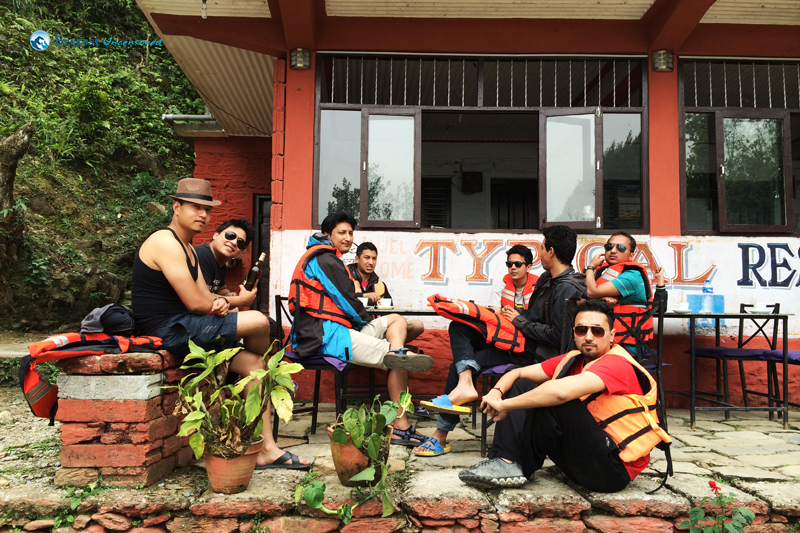 We were 14 people in total and the planned route was Pokhara – Australian Camp – Dhampus – Pokhara. 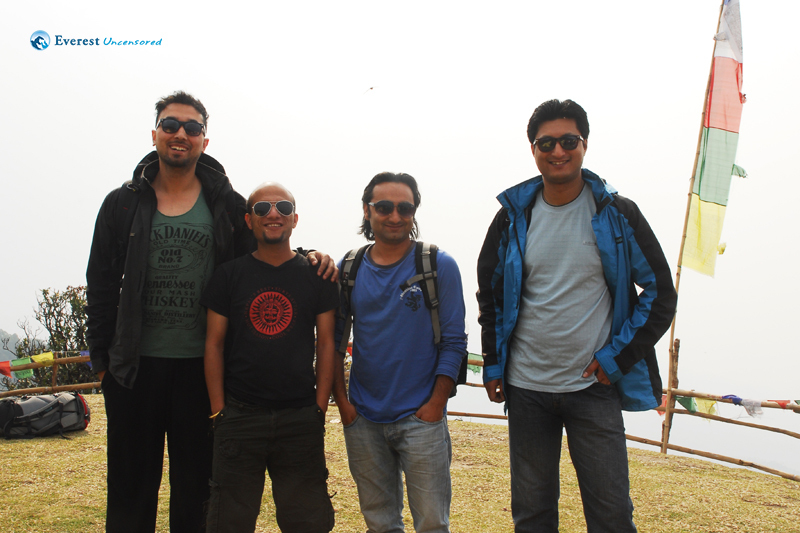 We started our journey from the office premises as we had our seniors, Pramod and Kapil, travelling with us. 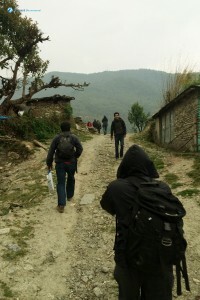 As we traveled along I got the chance to know them, and they turned out to be a lot cooler than what I was made to believe. 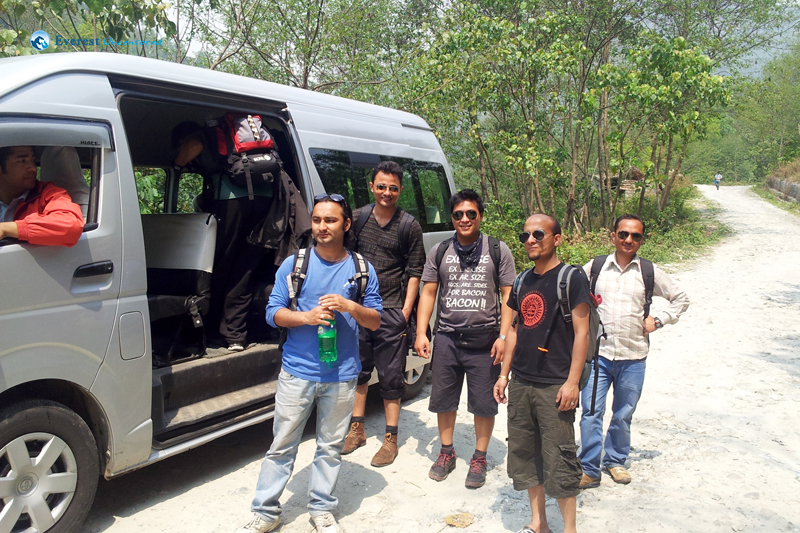 There was enough merriment going on in the van as we stopped in few places for breakfast, lunch and also for other short breaks. 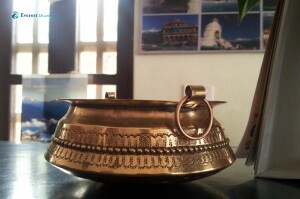 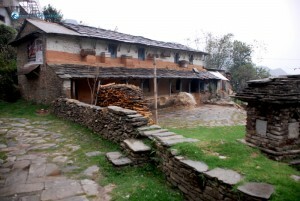 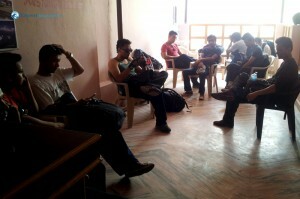 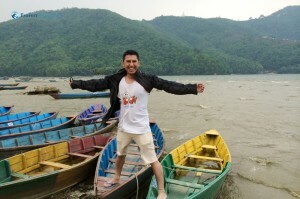 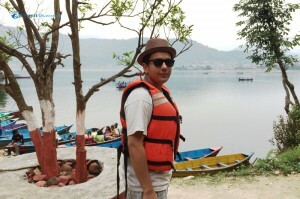 As we reached Pokhara we booked rooms for lodging. Then after we hiked up to the Australian camp which was almost 2 hours uphill road. 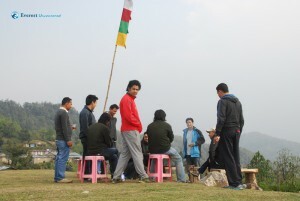 The day was gloomy and dull as we were planning to have some BBQ and some drinks to keep us warm. 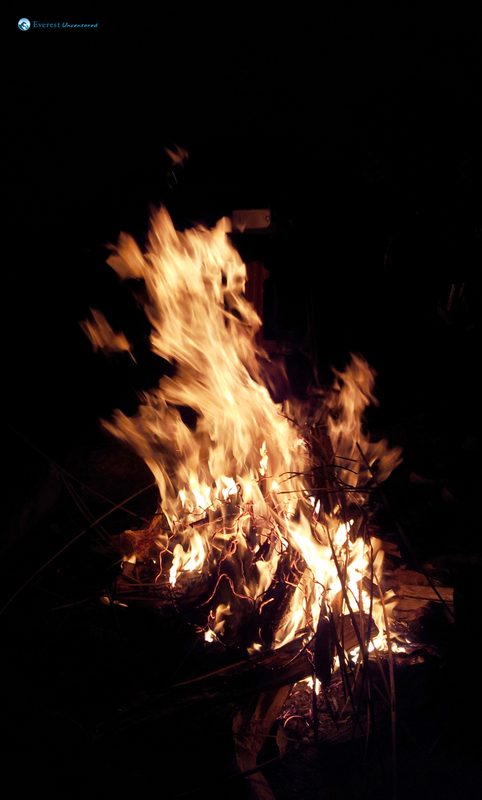 The wind was very strong and we all were shivering, so we collected some woods and started a campfire. 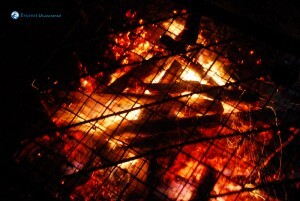 We had some BBQ, drinks and did some singing and dancing. Early morning when we woke up, we were hoping to see the beautiful view of the mountain range. 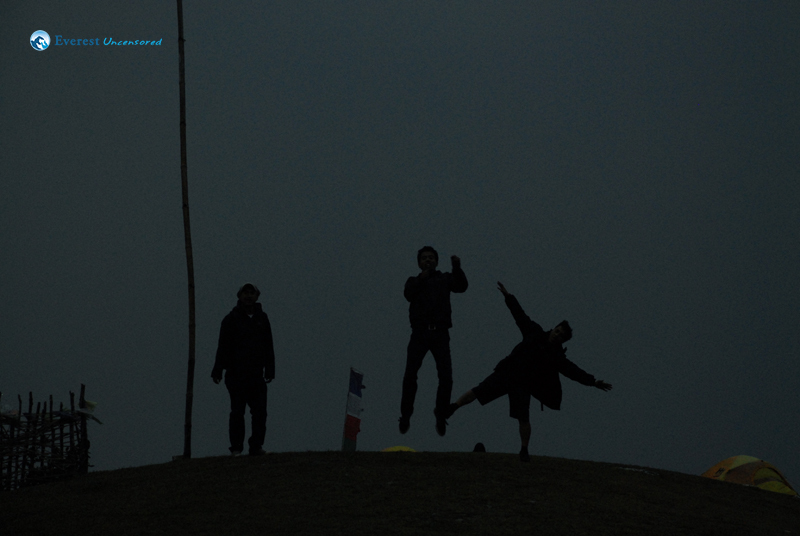 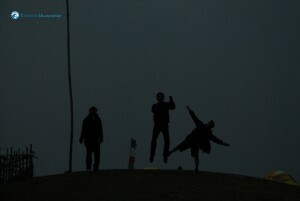 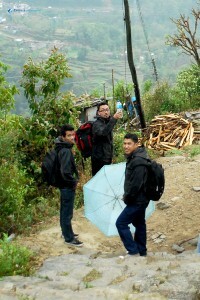 But the weather was extremely cloudy and the view wasn’t that clear. 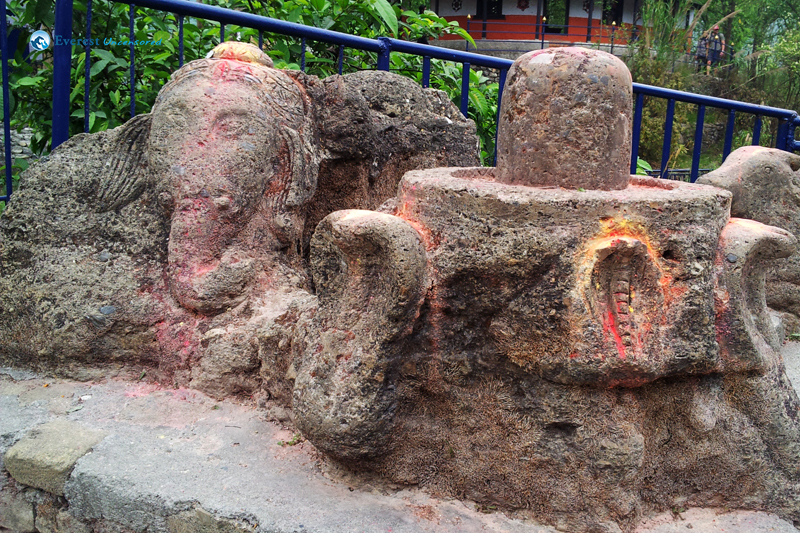 The journey began towards Dhampus then after. 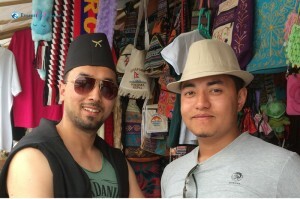 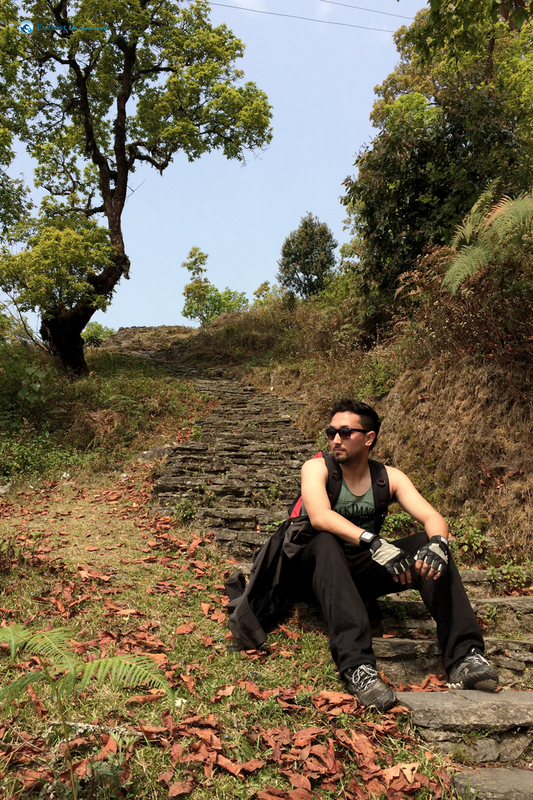 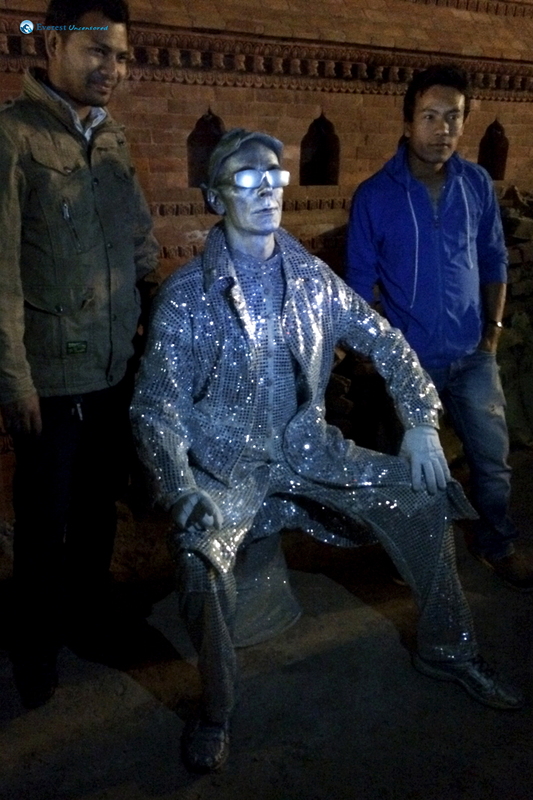 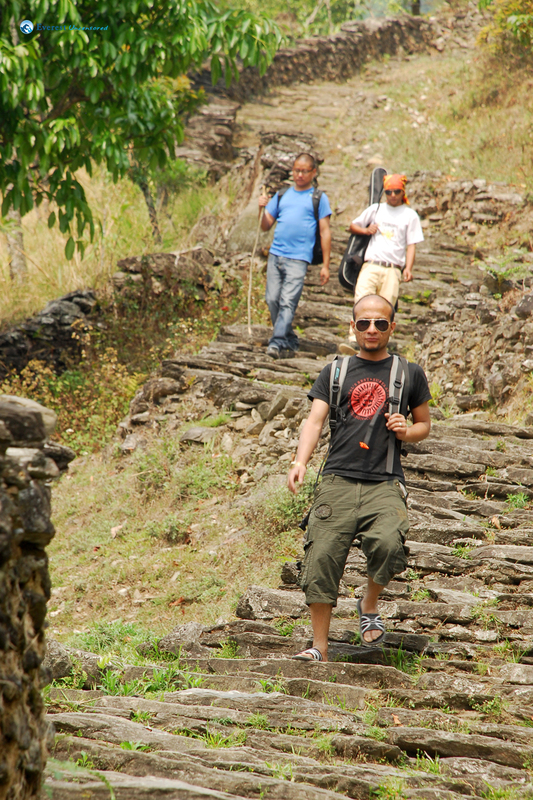 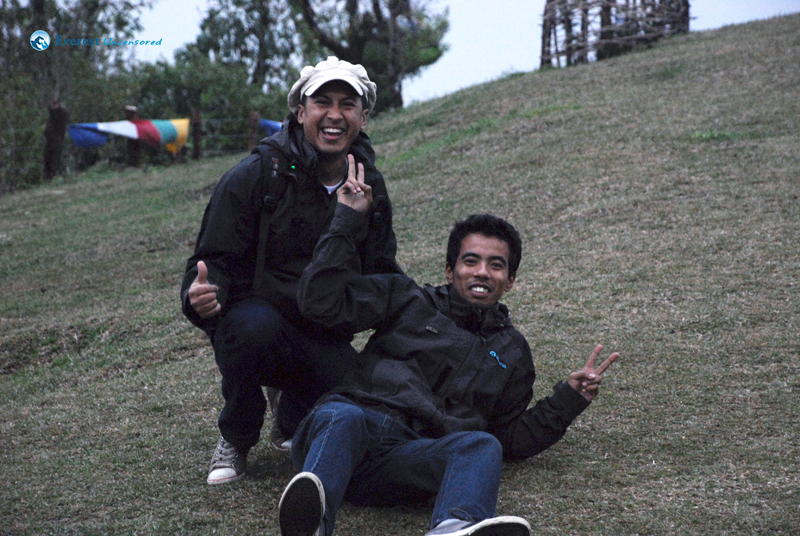 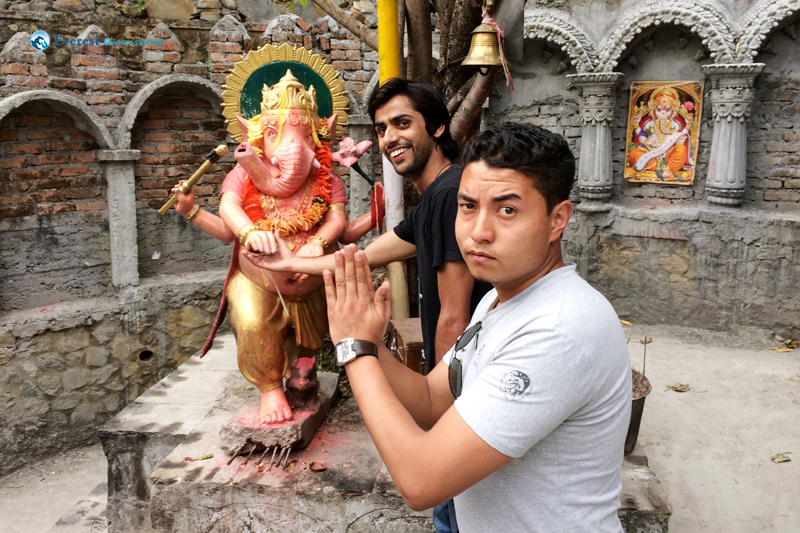 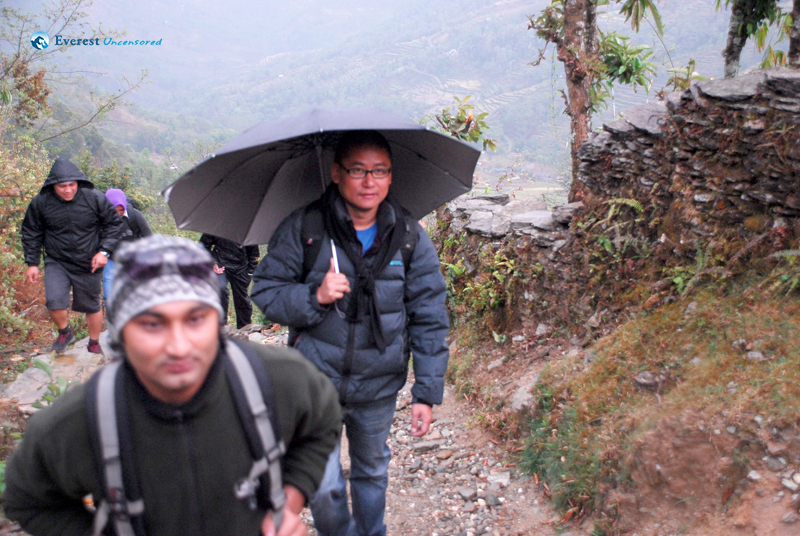 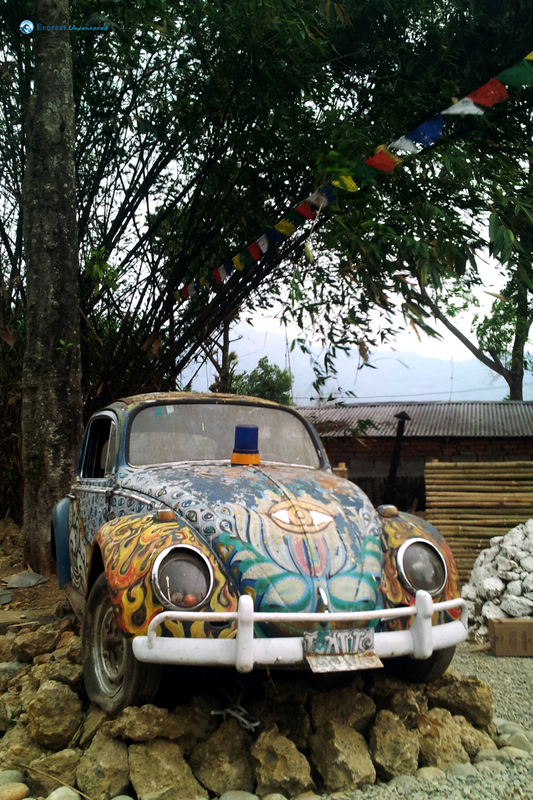 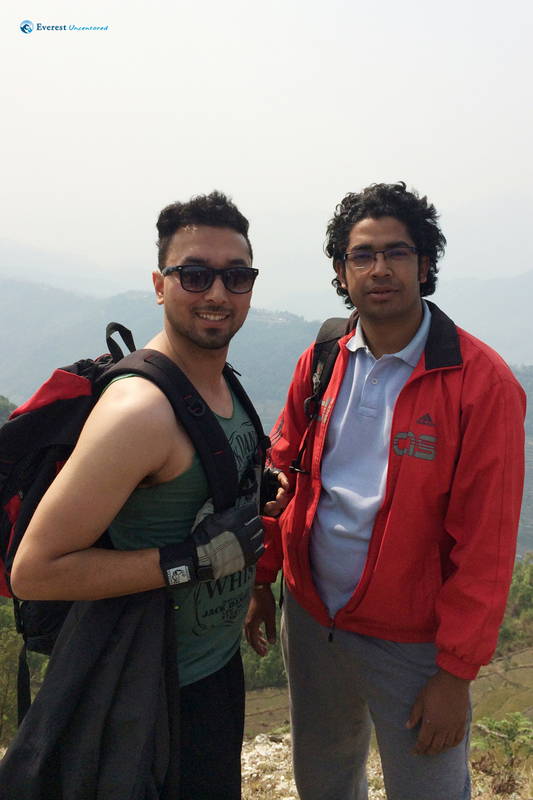 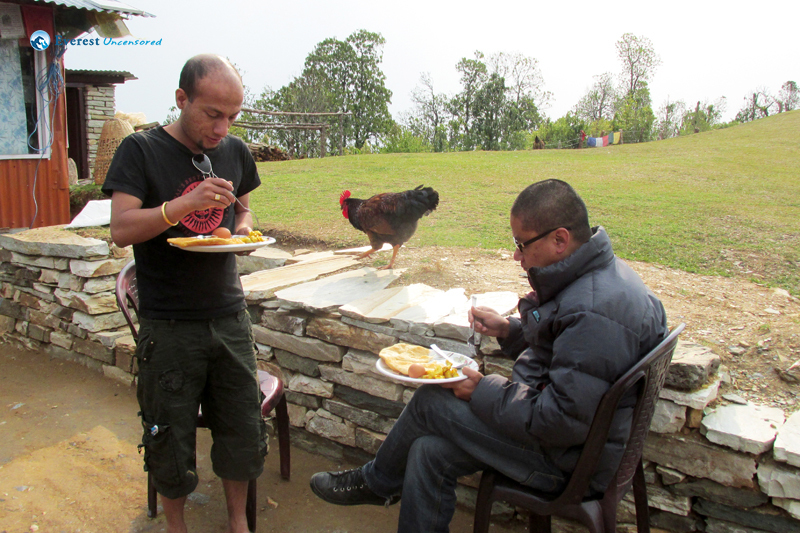 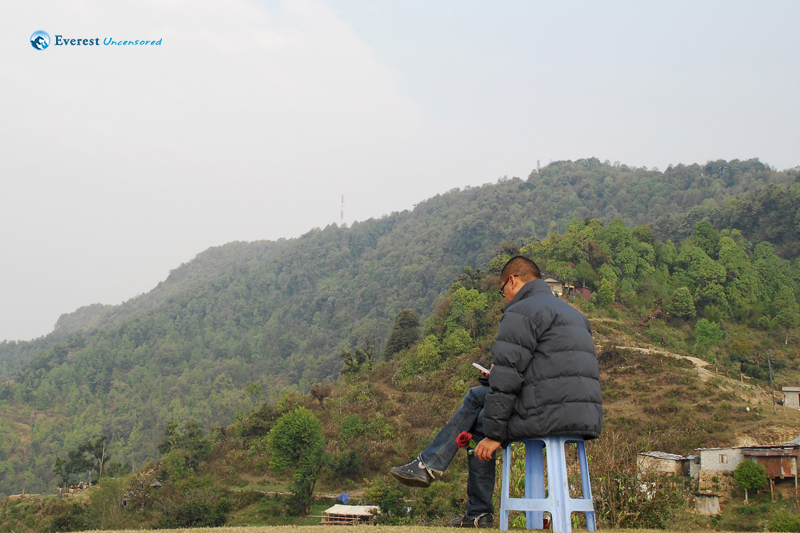 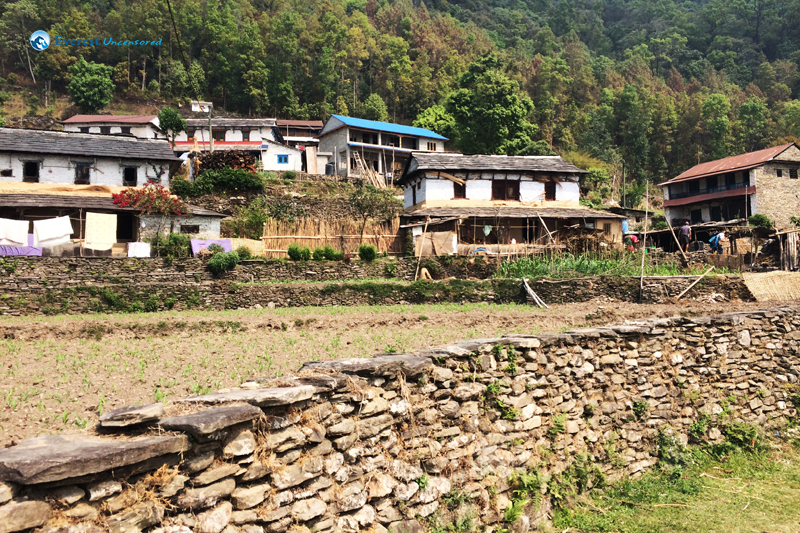 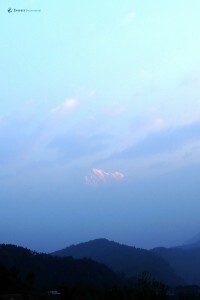 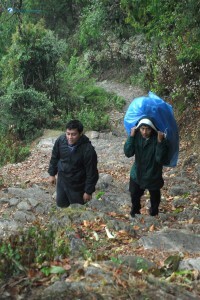 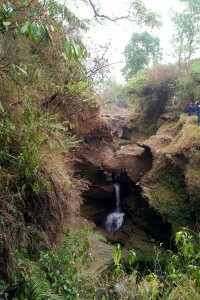 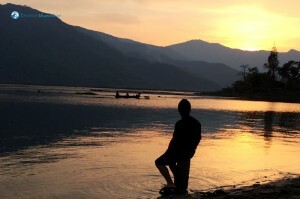 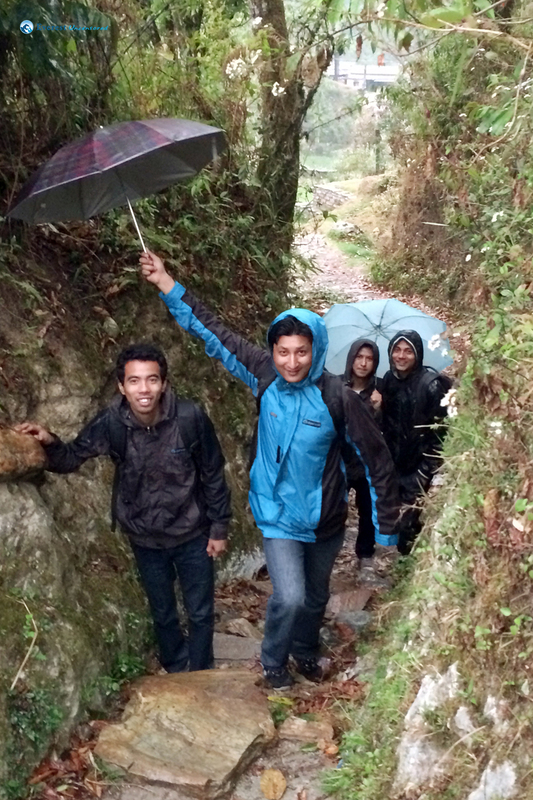 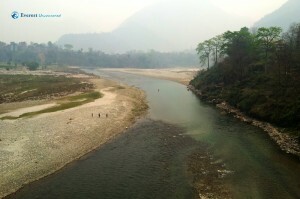 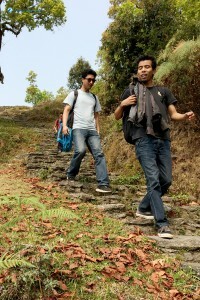 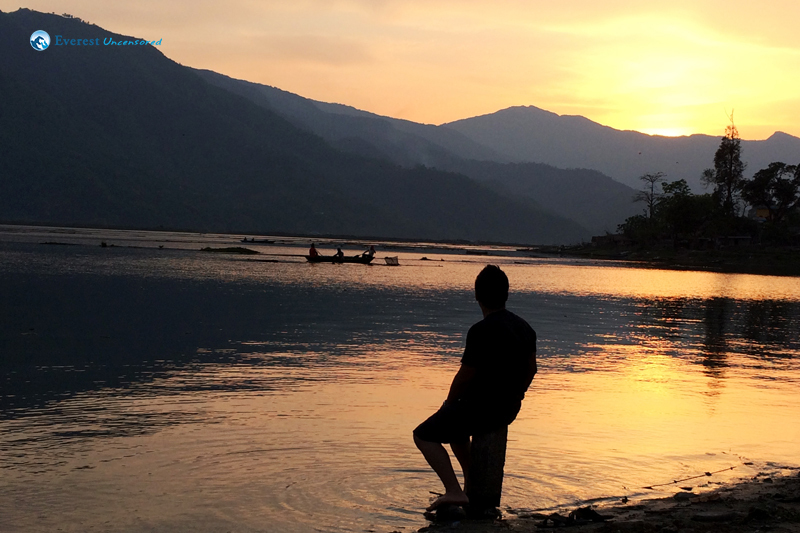 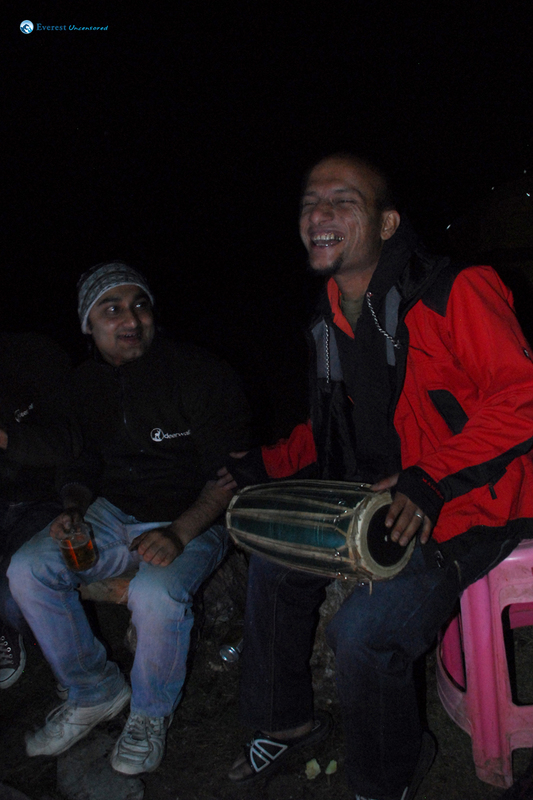 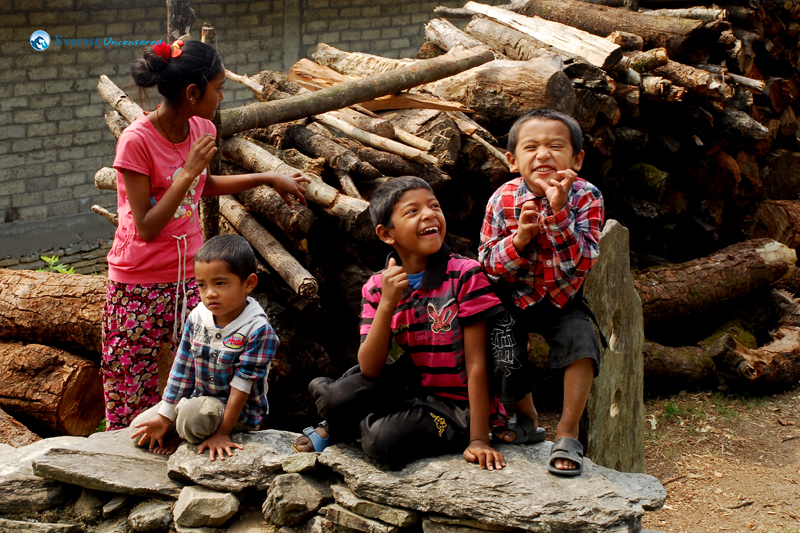 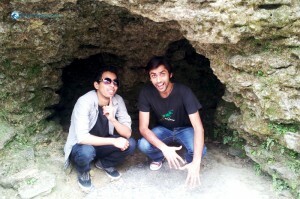 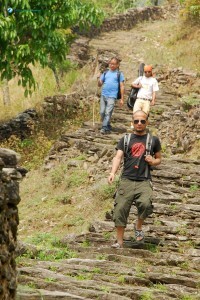 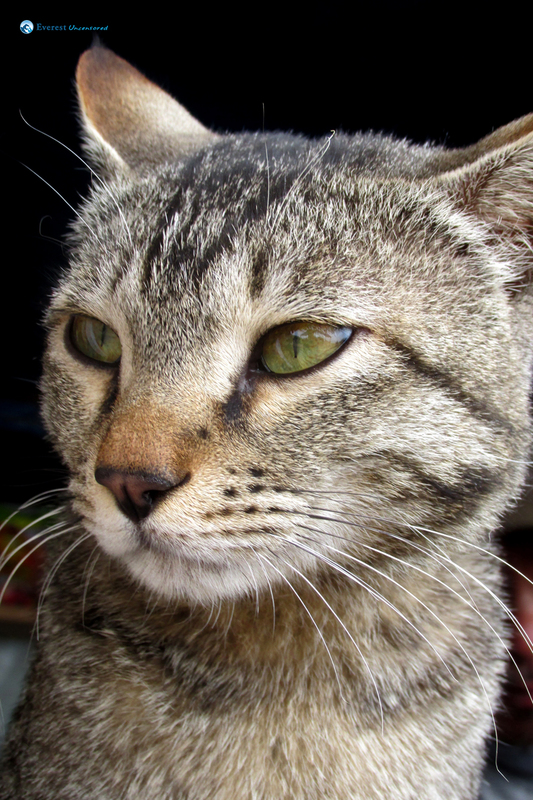 We walked 3-4 hours downhill and reached Pokhara where our driver, Deepak, was waiting. 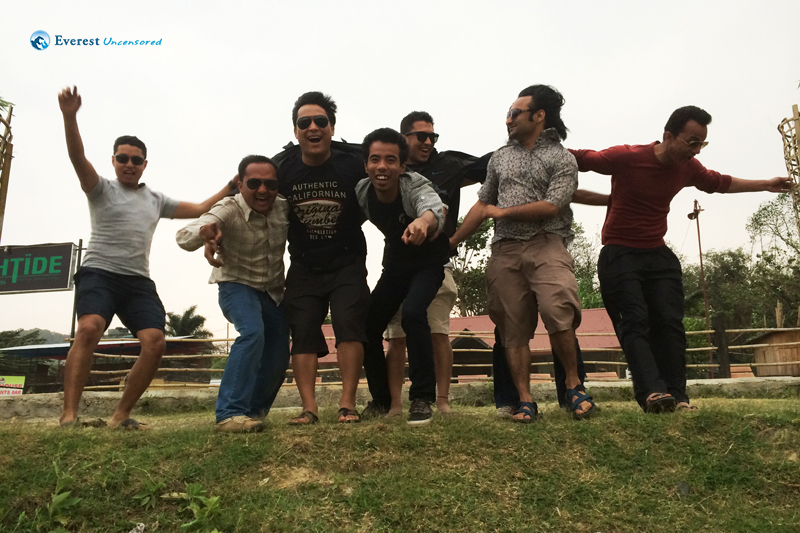 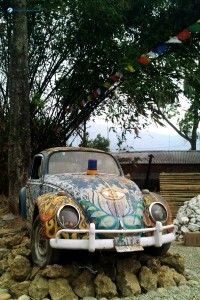 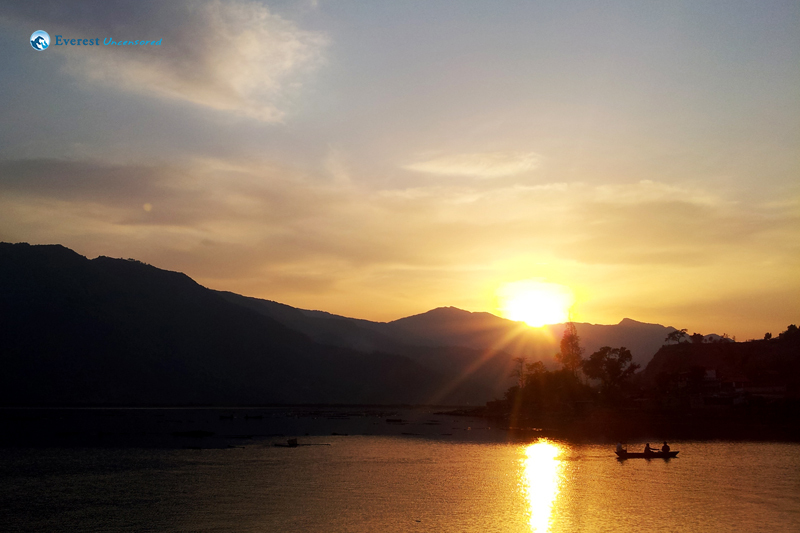 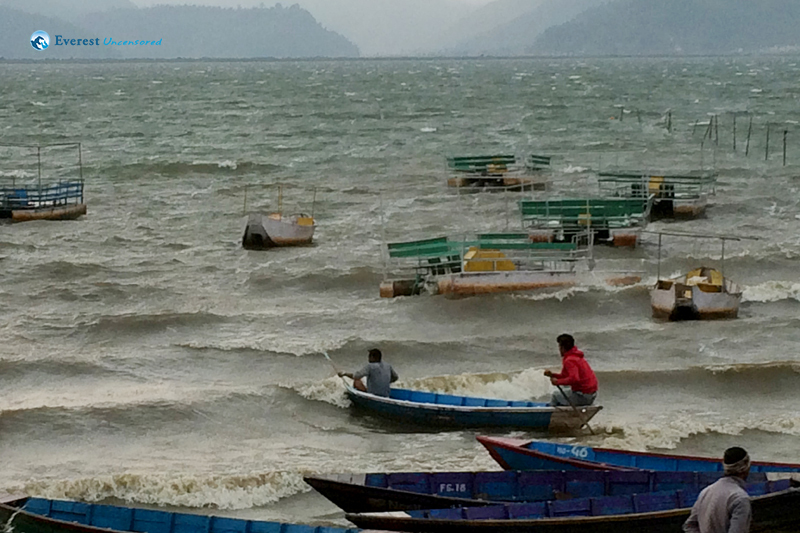 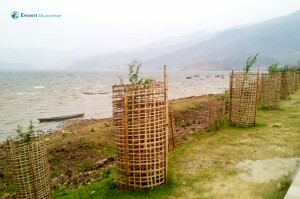 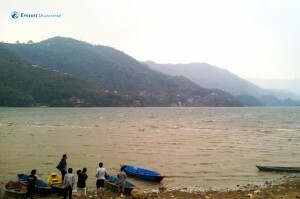 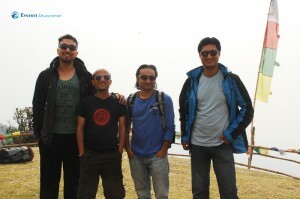 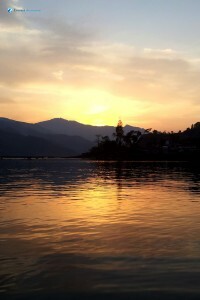 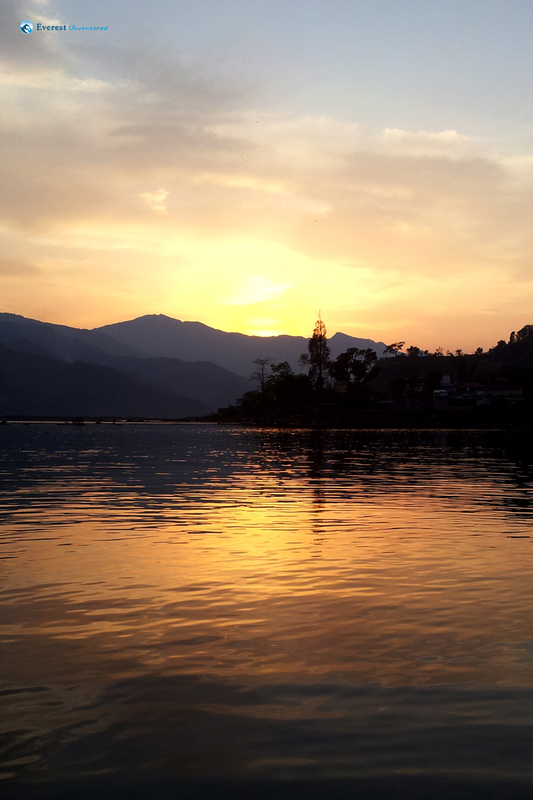 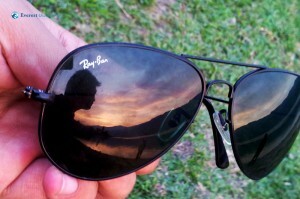 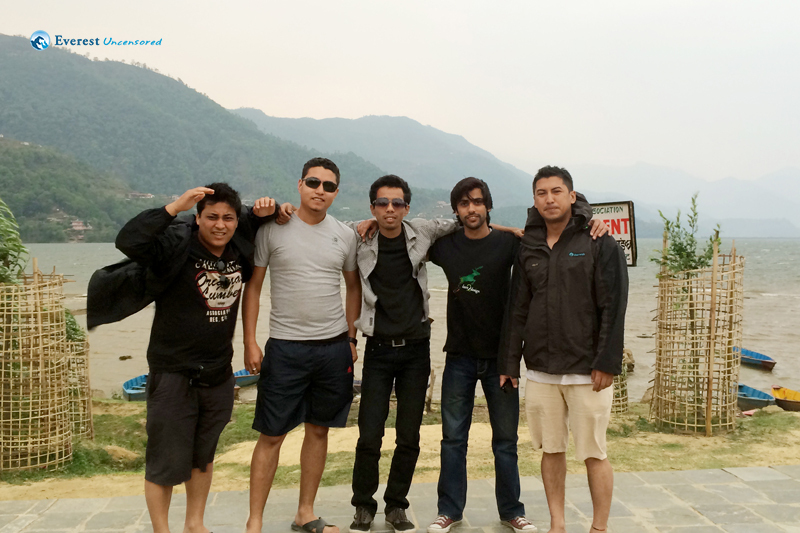 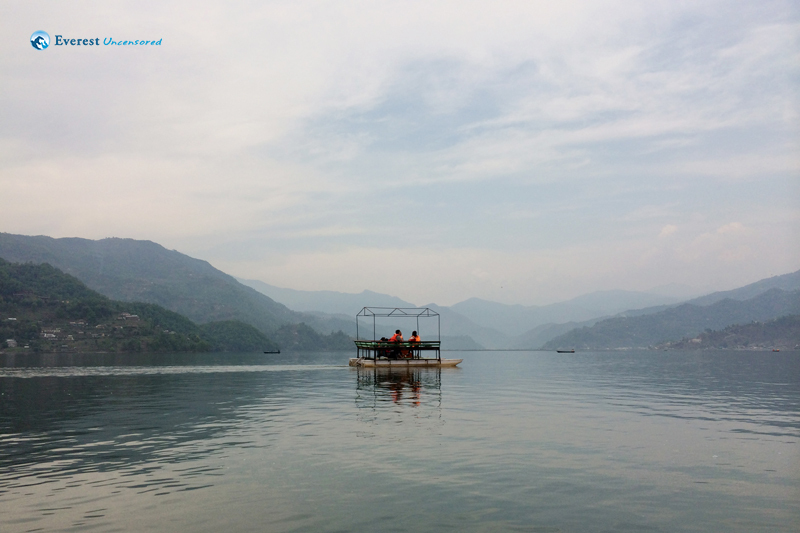 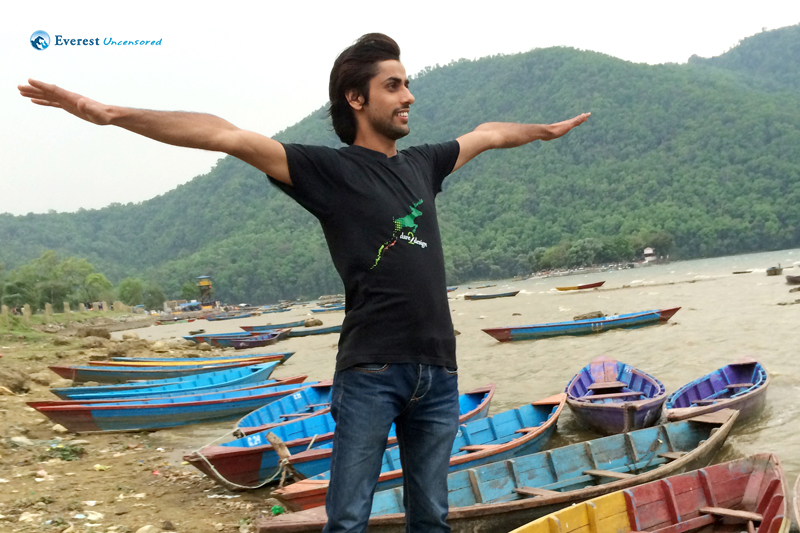 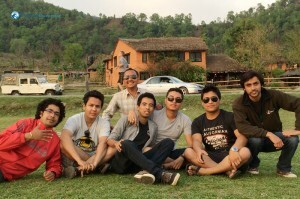 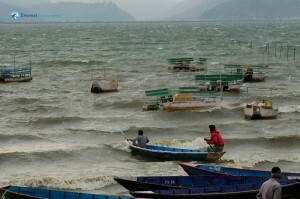 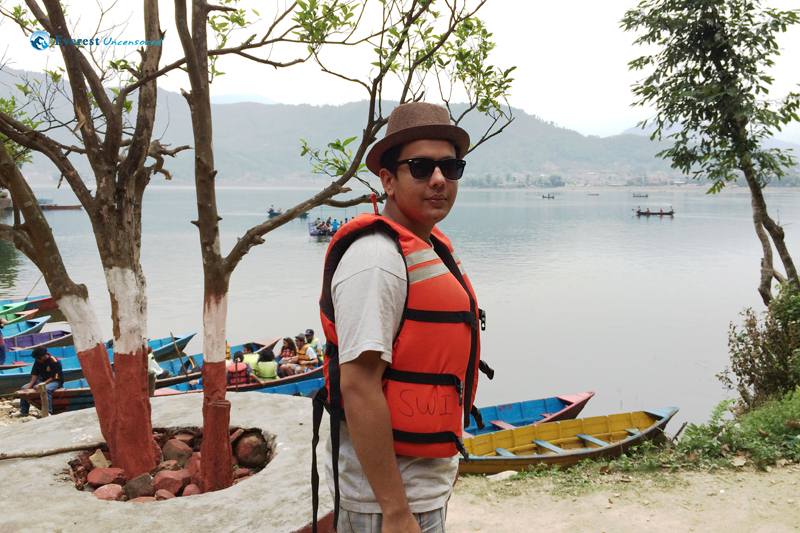 We headed towards Pokhara lakeside, ready to celebrate the New Year’s eve. 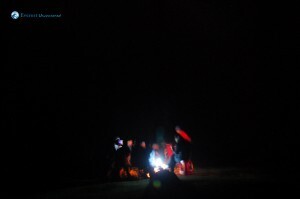 We enjoyed the lakeside view and celebrated the New Year’s eve in Club Paradise Restaurant dancing, having beers while wishing and hugging each other. Next day we split into two groups. 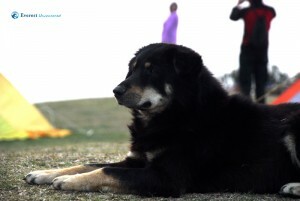 Four of the members went for paragliding and the rest for boating. 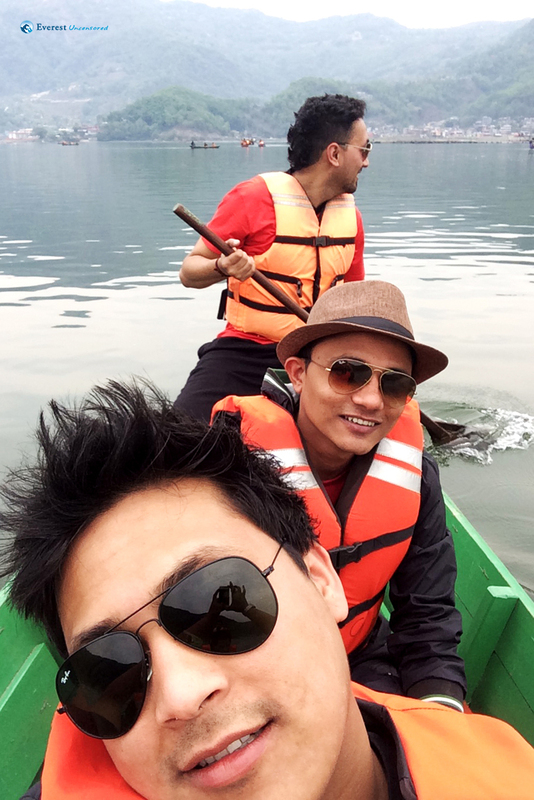 We took two boats and spent a few hours rowing. On the way back home we had some Thakali lunch. 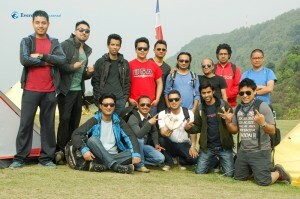 Overall it was a great trip and I look forward to more of such opportunities. 3. 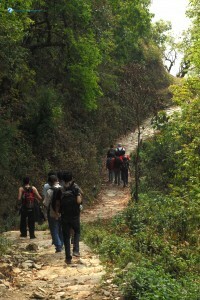 Are we there yet ! !.